Are you contemplating both NYU’s Stern School of Business and Columbia Business School for your MBA degree in the commercial dynamo that is New York City? 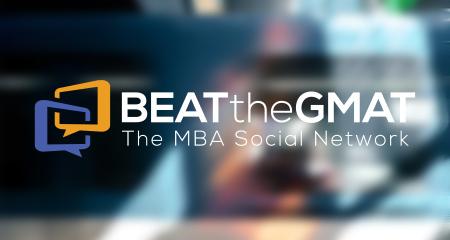 I recently shared my thoughts on this tough decision in an article published by Find MBA. NYC’s urban business setting is definitely an advantage for many career paths, including finance. At both Columbia and NYU, accessibility to recruiters and world-class industry experts and professors is unparalleled. While Columbia’s academics are certainly on par with other top tier schools, its status as the only Ivy League business school based in Manhattan draws the most accolades from graduates. As the school claims, New York’s flourishing financial community — which includes Wall Street and thousands of multi-national corporations — is a “living laboratory” for students interested in discovering the business world up close through internships and frequent visits from top CEOs. While Columbia’s academic strength is its Finance department, graduates from the program tend to have well-rounded interests, international connections, and a solid network of alumni willing to help them explore all their options. NYU boasts a diverse program, with full-time and part-time offerings for working professionals as well as a PhD program and even an undergraduate major. Students have the opportunity to learn from experts, studying with professors who are regularly quoted in The Wall Street Journal. Case studies become real world experiences when students can examine an issue and then visit that business some mere blocks away. NYU Stern is committed to providing a top tier business education in the heart of the most diverse, vibrant business center of North America and its central location allows both full-time and part-time students to draw heavily from the city’s resources. NYU typically shows more flexibility in admitting candidates. The school is more willing than Columbia to accept a candidate whose employer is not well-known or whose GMAT score is not high. One potential upside of this relative flexibility by NYU is that the program tends to attract a down-to-earth, humble student class. 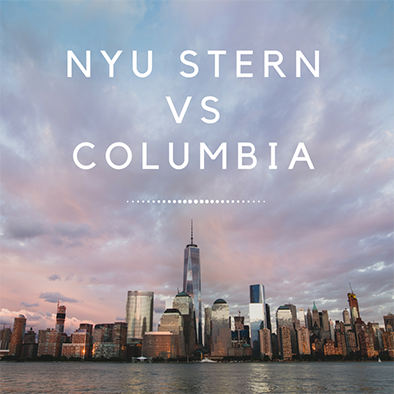 Read more about NYU Stern vs. Columbia Business School, including a career outcomes comparison, on Find MBA.